The Virtual Office North Miami is located right off Biscayne Blvd this makes it a perfect location for companies which want to be closer to Aventura and Broward county. Easy access over Interstate Road 95, right in the middle between both, Miami International and Ft Lauderdale international airport. Ample parking around the building allows your customer an easy come and go. Three conference rooms and a large designated Training room makes this facility stand out for those who have frequent customers coming in or train staff on a regular basis. Our executive office suites allow you to either occupy physical space on a monthly base or just rent them as you need it. Additional cost for the usage of private office space will be added to your monthly virtual office bill. 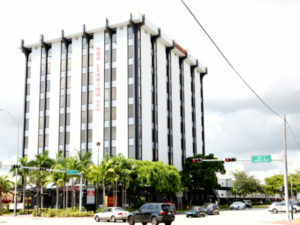 To get started just chose this Virtual Office North Miami location, add on desired services like live phone answering services or Virtual Assistant Services, we will see to have your business up and running the same business day, depending on the time of the day, but latest within a 24h time frame.